Screening mammograms are next to worthless. We have been telling you this for nearly ten years. They do not save lives. In fact the group of women who have significantly less mortality over the last twenty years are younger women who don’t go near them! So says a 2013 study from Oxford University. But we are not gloating. We are angry. For all the women who have been consistently misled by the ’status quo’; the mythology of cancer treatment in the UK. Like mammograms, other orthodox skeletons will be coming out of the cupboard over the next few years. For ten years we have actually argued that the research evidence shows screening mammograms do more harm than good. For every woman whose life is saved (and that’s debatable in the light of the latest research), three women or more are unnecessarily treated; their lives put at risk with radiation and toxic chemicals. In 2012 Professor Mike Richards, the UK cancer ’tsar’ announced that screening mammograms may save 1,300 lives a year in the UK but result in 4,000 women being mis-diagnosed and even needlessly treated. The new research is clear that they don’t save even 1,300 lives. But as you will see, research we presented 5 years ago said that too. In 2012 the highly respected Nordic Cochrane Centre produced a leaflet listing the benefits and harm of screening mammograms and concluded that screening mammograms caused more harm than good! CANCERactive has been consistent for more than 8 years. That’s when this article you are reading now was started. It has been updated frequently with the latest research. But the stance and the overall conclusions have never changed. And now we are vindicated; our conclusions all along shown to be right. The fact is (as you can read below) there was never much evidence to support the 1,300 figure - it is zero in other studies. Worse, if women have an inherited DNA problem, having an annual screening mammogram increases their risk of the disease! The mammogram is not even early diagnosis. In the development work on a new screening blood test, the researchers point out that a mammogram only picks up a tumour when it is of a certain size - a size produced by about 20 cell divisions. At 40 you’re dead! Finally, if scientists set out to develop a screening technique for breast cancer tomorrow, do you think it would involve two large metal plates, squeezing, radiation flowing and be only 65 per cent accurate at best?! If someone proposed this they would be laughed at. Unfortunately, as 4,000 women a year in the UK know to their cost - it is no laughing matter! And that is our biggest concern. If screening mammography effectiveness had been properly questioned ten years ago, we might have spent some of the vast, wasted funds on developing simple, effective blood tests that caught the cancer at a far earlier stage and were more consistent and reliable. How many women have been unnecessarily treated in the last ten years? How many women have died needlessly? * 10 women will be unnecessarily treated with surgery, radio- and/or chemotherapy, increasing her risks of dying from heart problems and even cancer. Are they right? Researchers at Southampton University set out to ’assess the claim in the Cochrane report that mammographic breast cancer screening could be doing more harm than good’. The findings, published in the British Medical Journal, December 2011 agreed with Cochrane and stated that mammograms indeed have ’caused net harm’. James Raftery, lead researcher added,"The default is to assume that screening must be good; catching something early must be good, but if a woman has an unnecessary mastectomy, or chemotherapy or radiation, that’s a tragedy. It’s difficult to balance the gain of one life against 200 false positives and 10 unnecessary surgeries". Back to Cochrane who say that nowadays with women more ’breast aware’ and with a new generation of diagnostics and treatments, the need for screening mammograms has simply become outdated. "It therefore no longer seems reasonable to attend for breast cancer screening. In fact, by avoiding going to screening, a woman will LOWER her risk of getting a breast cancer diagnosis." We are told repeatedly by Cancer Research UK and the NHS that regular screening mammograms, or breast cancer screening, saves lives. But does it really? Every week it seems more research comes out clearly pointing to increased dangers and risk. Some experts even suggest that screening mammograms can actually cause breast cancer, with the group of women who have a genetic weakness at the highest risk, while others talk about false positives, over diagnosis and of untold worry and mental (not just physical) damage to women who were diagnosed yet simply never had breast cancer in the first place. Screening is offered to all women in the UK between the ages of 50 and 70 every three years and this is being extended to 43 to 73 years. If you are at ’higher risk’, due to a family history of breast cancer, you may ask to be screened earlier and NICE recommends you are screened every year. As we will see later, this could be very dangerous. The NHS insists screening saves 1,400 lives a year. ’Not true’, says Professor Peter Gotzsche of Nordic Cochrane Centre in Copenhagen. Writing in the ’Journal of the Royal Society of Medicine’ in August 2011 he states "Information provided to the public by the NHS Breast Screening Programme is seriously misleading, downplays the most important harm, and has remained largely unaffected by repeated criticism and pivotal research questioning the benefits of screening and documenting substantial overdiagnosis. This is unacceptable". In the Times (September 1st) he adds, "If screening was a drug it would have been withdrawn. You don’t market a drug that harms so many people for such uncertain benefit". The Nordic Cochrane centre has reviewed one of the major studies often used to show ’lives saved’ - and concluded that the data was wrong. Indeed, they conclude that there was a higher level of breast cancer in the group screened regularly. Radiation exposure in known to cause genetic mutation in breast cells. It is also known to switch off the tumour suppressing gene (p16). 2011 research from the Lawrence Berkeley National Laboratory in America (a US Government facility) has shown that radiation both changes the environment around breast cells AND increases the risks of mutation within them; a mutation that can be passed on in cell division. This study showed that 4 to 6 weeks after exposure to radiation at a level below that of a screening mammogram, breast cells started to prematurely age. This resulted in their inability to send certain chemical messages into their immediate environment, which then filled with pre-cancerous mutated cells also from the radiation. " Our work shows that radiation can change the microenvironment of breast cells, and this in turn can allow the growth of abnormal cells with a long-lived phenotype that have a much greater potential to be cancerous", said Paul Yaswen, a cell biologist and breast cancer research specialist with Berkeley Lab’s Life Sciences Division, adding "Many in the cancer research community, especially radiologists, have been slow to acknowledge and incorporate in their work the idea that cells are not independent entities, but are highly communicative with each other and with their microenvironment. It is also questionable whether screening mammograms can even provide genuine ’early diagnosis’ as is frequently claimed. A new blood test being developed in America and Nottingham, England will pick up on proteins developed by the very earliest ’rogue’ cells almost before a cancer has formed. In the press release the scientists claim that this is a good 4 years before a mammogram can show up a tumour. Apparently, a cancer makes about 40 divisions during its life, and mammograms cannot pick up a breast tumour until it is of a sufficient size, usually around 20 such divisions. So much for early diagnosis! In Spring 2009, nine American scientists were so concerned by what they felt were distinctly dodgy practices at the Federal Drugs Agency, (FDA) they wrote to new President Obama, One of their main causes for concern was the FDAs silence over the increasing knowledge of the risks associated with mammograms. These concerns are part of a growing trend. Perhaps one of the most damning reports was a large scale study by Johns Hopkins published in 2008 in the prestigious Journal of the American Medical Associations Archives of Internal Medicine (Arch Intern Med. 2008;168[21:2302-2303). In the Background to the research it was pointed out that breast cancer diagnosis rates increased significantly in four Scandanavian counties after women there began receiving mammograms every two years. Now, there will be those who will simply argue that this just shows the power of mammograms to find (diagnose) breast cancer. They may well be talking rubbish. In the study looking at two large scale groups of women in Norway, one having a mammogram every two years for 6 years, the other just at the end, the researchers themselves went on to conclude that they cannot link the increased incidence of breast cancer diagnosis simply to more real cases being detected because the rates among regularly screened women were significantly higher than rates among women of the same age who only received a mammogram at the end of the same six year period. The women in the control group who had a mammogram only at the end of year six somehow had their breast cancers heal themselves the cancer went away without treatment. The more breast cancer screening you have, the more your incidence of breast cancer diagnosis increases. The research was by no means a small study and compared 119,472 women screened every two years, with an identical group of 109,784 who had none. The researchers themselves went on to conclude that the findings "provide new insight on what is arguably the major harm associated with mammographic screening, namely, the detection and treatment of cancers that would otherwise regress." That in itself is a truly important conclusion - the idea that if you leave a cancer alone (even if it has already had 20 divisions), the body can still heal itself. But the conclusion that quite simply screening mammograms every two years cause an increase in cancers cannot be dismissed! The female oncology nurse I talked to was only half joking. Mammograms were clearly invented by men! Ask any man if he would expose his private parts, put them between two cold metal plates, squeeze them, subject them to ionising radiation once a year on the vague chance that it might show he had a cancer, and hed say I was mad. At best! Firstly, lets clarify the difference between screening and diagnostic mammography. Screening mammography is performed on healthy women from the age of 40 to 70 (although there are moves to increase this) and is aimed at identifying anything suspicious, which might then justify further investigation. It is often incorrectly classed by many experts under the heading of prevention when in truth it is, at best, earlier detection over the recommended practice of checking your breasts for lumps by hand. 2 million women a year in the UK are screened using mammograms. Diagnostic mammography is used with existing patients or high-risk non-patients who already have existing justification for the test; for example, one or more high-risk factors, clinical symptoms, or a palpable lump. Let us be absolutely clear: In the latter case where symptoms already exist there can be little argument about mammographys role as the current gold standard for evaluating and clarifying pre-existing suspicions. There have been several warnings on the danger of radiation and mammograms. For example, in a research report (the Lancet Dec 7th 2006) on a ten-year trial involving screening use on pre-menopausal women aged 40-50, funded by the Department of Health and Cancer Research UK, the report ended with the comment that, The findings had to be balanced against possible negative considerations such as an increased radiation exposure which might increase risk later in life. The American College of Clinical Thermography concluded in 2005 that a steady stream of experts have been publishing new evidence in peer-reviewed journals in the US relating to the risks inherent in using mammography for breast screening. These findings of increased damage are of no surprise to a growing number of doctors and specialists who have known for years that some of the cancers they have to treat are linked to the accumulative effects of mammographic radiation exposure. Dr. John Gofman, a Nobel Prize-winner, believed that up to half of all cancer was caused by unnecessary radiation primarily related to diagnostic X-rays. He may have been onto something. According to the US Journal of Radiation Research, mammography involves a different type of radiation than that used in ordinary X-rays: A low energy form of ionising radiation. This can pass more readily through tissues but is up to five times more harmful than standard X-rays. The same Journal says that the alpha particles of mammograms have both large mass and charge, quite unlike ordinary X-rays, which have neither. And here-in lays the first problem. That statement is completely inaccurate. And if the US Journal of Radiation Research can get it wrong what hope is there for us mere mortals?! Mammograms are merely X-rays but they do have a cumulative build-up effect. According to The American College of Clinical Thermography: A Literature Review and Commentary on the Current Status of Mammography, the level of exposure when both breasts are photographed - about 1 rad - is recorded as almost 1000 times higher than one chest x-ray, and lucent, pre-menopausal breast tissue has been shown to be especially sensitive to radiation. Each rad of radiation exposure has been shown to increase breast cancer risk by a little over 1 per cent. A recent report from America quoted Professor Rebecca Smith-Bindman of UCLA saying a mammogram was equal to the strength of 6 X-rays. 10 years of annual screening will therefore result in a 10 to 20 per cent increased breast cancer risk, and these risks obviously increase the younger the subject starts. In England, women might expect to double these figures as now all women have two views of each breast taken at every screen - one from above (craniocaudal) and one into the armpit diagonally across the breast (mediolateral). The same US review notes that it has also now been proven that double strand breaks or even more extensive damage to the DNA can arise from the ionizations. Worse still, 1 to 2 per cent of women are silent carriers of the ataxia-telangiectasia gene and this is highly sensitive to the carcinogenic effects of mammogram radiation. They have a fourfold higher risk of breast cancer from mammography; by some estimates this accounts for up to 20 percent of all breast cancers annually in the United States. In general, women who are carriers of a gene mutation (thats about 7 per cent of all women - but about 25 per cent of those diagnosed each year with breast cancer) may be well advised to be careful and go nowhere near a mammogram. Yet often they are the very women encouraged to have a regular screening mammogram as part of their ’prevention’ strategy. In an article in the July 2006 issue of the Journal of Clinical Oncology, researchers claimed the radiation dose from mammograms may actually cause breast cancer in women with a genetic predisposition for breast cancer. In the study which looked at 1,600 European women with known mutations in BRAC1 or BRAC2 genes (mutations that put women at a much higher risk for developing breast cancer), researchers said women in the study who had at least one chest X-ray were 54 percent more likely to develop breast cancer than those who never had one! This of course is actually simple logic. If you only have one strong gene, and radiation damages genes, then you are MORE likely to be at risk from a mammogram - so much for cancer prevention! The 2006 study went on to say that these women might want to consider being screened with magnetic resonance imaging instead of X-rays. This heightened risk was yet again supported by new research in 2009: At the annual meeting of the Radiological Society of North America experts warned that mammograms can actually cause breast cancer in ’at risk’ women especially those under 40. Women with genetic issues had a 150 per cent increased risk of developing breast cancer, even if given a low dose mammogram. Others had a two and a half times increase caused by the mammogram screenings. ’Did you know that this cancer can be driven by oestrogen. 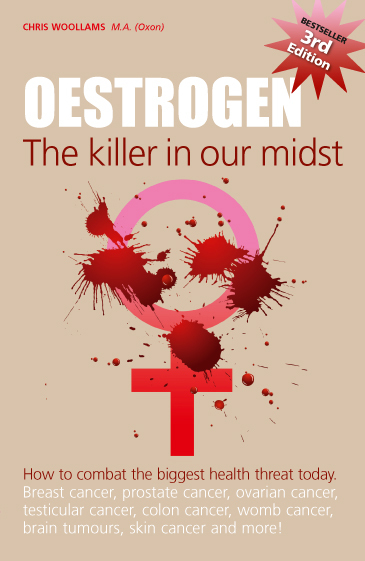 Find out how you can control your oestrogen levels, naturally’. CLICK HERE. Screening so does it save lives? In England, the budget for the breast screening programme was estimated to be approximately 75 million in 2007. This works out at about 37.50 per woman invited or 45.50 per woman screened. The World Health Organisations International Agency for Research on Cancer (IARC) concluded in 2002 that mammography screening for breast cancer reduces mortality. The IARC working group, comprising 24 experts from 11 countries, evaluated all the available evidence on breast screening and determined that there is a 35 per cent reduction in mortality from breast cancer among screened women aged 50 - 69 years old. For women aged 40-49 years, there is only limited evidence for a reduction. (NHS 2008 web site). However, this 35 per cent figure is highly questionable - indeed there are a number of expert studies offering a range of figures, some as low as zero. One of the most important studies providing evidence FOR screening mammograms was a study in 2005 where a push to have women screened in Denmark, produced a 25 per cent reduction in breast cancer mortality in Copenhagen. This has been quoted for the last 5 years as the perfect example of the benefit of breast cancer screening. However in early 2010, the Nordic Cochrane Centre in Copenhagen re-analysed the figures and amplified them to look at the ten years leading up to the ’push’, and the ten years after. Far from finding that screening saved lives, they found that the original research was completely flawed and that screening INCREASED cancer death rates, proving clear evidence that deaths from breast cancer were lower in areas where there was no screening. In a 2009 study (see BioMed Central Medical Informatics and Decision Making), researchers looked at mortality rates amongst mammogram and non-mammogram users. The conclusions were that mammograms did save lives, at a rate that increased with age (in line with overall breast cancer risk). According to the data presented, in the USA a womans risk of developing breast cancer between the ages of 55 and 70 is roughly 6 percent, with a 1 percent chance of breast cancer causing her death. The researchers concluded that starting at age 50, 1.8 lives would be saved for every 1,000 women who was screened consistently for 15 years. Said a researcher, In other words, 2,970 women must be screened once to save one life. Their conclusions indicated that undergoing regular screening from the age of 40 reduces the risk of dying from cancer by 0.1 per cent. A very small figure, certainly not the 35 per cent reduction in mortality claimed above, but important none-the-less. Thirdly, in both Denmark and Canada large population studies since 2005 have revealed that in women taking regular mammograms and women who have never had mammograms the death rates from breast cancer were exactly the same. So clearly there are conflicting views even on the benefits, depending on the expert you talk to. Age of the female being screened is, however, significant, for example the ten-year trial quoted in the December 2006 Lancet which concluded that, where pre-menopausal women went for annual breast cancer screening, there was no significant reduction in breast cancer mortality across the 160,000 women tested. Whilst researchers showed that 4 lives in 10,000 might, at best, be saved they concluded this had to be balanced against the increased negative factors. Some years ago, according to the ACCT, our own Professor Baum (Professor Emeritus of Surgery and visiting Professor of Medical Humanities at University College London), blasted American doctors as immoral for screening women under 50 for breast cancer. Baum apparently said the screening was opportunistic and did more harm than good. Over 99 percent of pre-menopausal women will have no benefit from screening. Even for women over 50, there has been only a one percent biopsy rate as a result of screening in the United Kingdom. 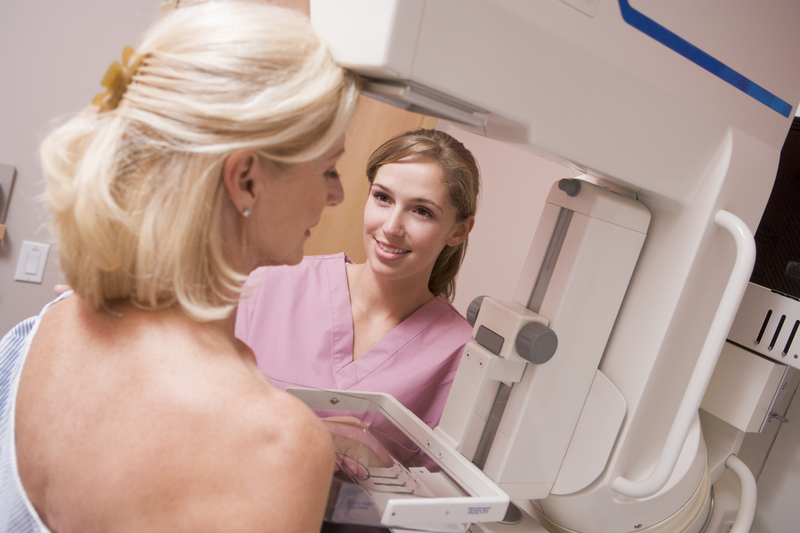 The density of the breast in younger women make mammography a highly unreliable procedure. In September 2006 an earlier report from the Nordic Cochrane Centre found that for every 2,000 women invited to have screening mammograms, just one would have their life prolonged, but 10 would endure unnecessary and potentially devastating treatment! Professor Peter Gozsche, who led the research along with Karsten Jorgensen, said that many women were being treated for slow-growing cancers that might never have developed to cause concern if they had not been picked up in the screening. The Nordic Cochrane Library is highly and internationally respected; the research took the seven best trials reported to date and reviewed the benefits against the negative outcomes resulting from the screening. It should be recorded very clearly here that the women who participated in screening had a 15 per cent lower risk from breast cancer that those who were not screened. Unfortunately such a benefit might be due to other factors those women coming for screening might be more concerned and careful about their health anyway they might have better diets and so on. The hard fact was that the absolute reduction in the risk of dying from breast cancer for those women participating in screening was 0.05 per cent. Whereas the risk for a women being screened and then actually treated unnecessarily for a slow-growing or even benign cancer was a staggering 30 per cent giving an increased absolute risk of 0.5 per cent a risk ten times greater than the apparent benefit. Worse, apart from the 10 women in every 2,000 given unnecessary treatment, a further 200 will experience weeks or months of unnecessary worry solely because of false-positive findings the observation of cell changes that eventually turn out to be benign. Problems that arent really problems! This is the untold cost of the screening programme the unnecessary stress, fear and damage to women caused by inaccurate screening. After the in-depth analysis by Professors Goetzsche and Karsten Juhl Jorgensen expressing such concerns, 23 leading cancer experts and health professionals wrote to the Times condemning NHS data as ’inadequate and one sided". A new NHS leaflet was introduced in 2010 but is still inadequate say the experts. "There is no quantification of over-diagnosis in the leaflet. For example, the leaflet claims that if a breast cancer is found early, patients are less likely to have a mastectomy". Goetzsche says this is "seriously misleading - the evidence shows that mastectomies have actually increased as a result of over-diagnosis". Then there is another concern: Is the diagnosis of breast cancer actually breast cancer? Roughly 50 per cent of abnormalities detected are lobular, and 50 per cent are ductal. While a Professor from UCLA at the 2006/7 US breast cancer conference said that the majority of Ductal irregularities were merely calcium deposits and only 15-20 per cent ever became cancer, almost simultaneously UK experts were describing Ductal Carcinomas as highly dangerous. Back to the Nordic Cochrane Centre who conclude that about a fifth of breast cancers detected during screening are early abnormalities known as Ductal Carcinoma in situ (DCIS). Most women with DCIS have mastectomies even though doctors do not know whether they will spread. In fact this is not exactly now true. Again in Cancer Watch a 2010 report showed that women with DCIS could have lumpectomies and that surgery meant 60 per cent needed no further treatment. Readers, of course, might justifiably say, ’Well if 80 per cent of DCIS is never going to become breast cancer, of course having the problem surgically removed is going to produce women who never get breast cancer!" Another factor often ignored in the debate is Breast Tissue Density. Put simply, dense breast tissue is risky tissue. The US Magazine Life Extension amongst others has summarised a number of research studies on the causes. Factors that increase the density of breast tissue include dairy consumption, synthetic hormone use (like the contraceptive pill or HRT), and smoking. Factors that maintain soft breast tissue include adequate Tocotrienol vitamin E and omega-3 consumption, numbers of babies and length of time spent breast feeding (9 months per baby affords more protection). And here is the conundrum: Soft breast tissue is less risky tissue and ladies need to try to keep their tissue soft to reduce their risk of breast cancer. But soft breast tissue is significantly more at risk from mammogram radiation. Catch 22. Overweight and obese women have problems too. The Archives of Internal Medicine (May 24, 2004; 164(10): 1140-7) reports that obese women are 20 per cent more likely to be wrongly diagnosed with false positive readings. Apparently in obese women, the thicker volume of breast tissue gives poorer image clarity when squeezed between the plates. So, how accurate are mammograms? Most women have read articles on false positive readings, women having weeks of hell before learning the truth, mis-diagnosis even resulting in biopsies and operations. Dr van der Horst, a radiologist in the Netherlands screening programme presented his findings to a meeting of European screening experts at the 4th European Breast Cancer Conference in Hamburg in March 2004. He was concerned that changing lifestyle patterns have resulted in more post-menopausal women having dense breast tissue. This makes it harder for mammograms to pick up tumours or early signs of breast cancer and may lead to unnecessary biopsies because of uncertainties in reading the results. His research took a random sample of 2,000 from 54,000 women, who are screened every two years in Holland. The research classified the tissue as dense if more than a quarter of the tissue was dense. Otherwise it was classified as lucent. The research found that 25 per cent of 50-69 year olds and 17 per cent of 65-69 year olds had dense breasts. They then looked at cancer rates, comparing total cancers with those detected by the mammograms, i.e. the ability of the mammogram to actually correctly detect a cancer. In the lucent group it was 67 per cent. In the dense group it was 59 per cent. So according to the research presented at the top European Breast Cancer Conference, at best, mammograms are accurate only two out of three times. He also noted that research indicated ultrasound improved accuracy in cancer detection. As always, things arent what they first seem. There has been a strong body of opinion in the orthodox medical fraternity only too keen to stress the importance of regular breast cancer screening, with large vans in Sainsburys car parks and women feeling that they really ought to have one to be safe, when this now turns out to be quite a long way from the truth. Breast Cancer expert Dr Gozsche feels that, Information given to women when they are invited for screening, and that they can get on the internet, is considerably biased in that it underlines the benefits and usually completely omits major harms such as over-diagnosis. Critics raise the issue of statistical manipulation finding problems that do not really exist. This is certainly the view of Dr John Bailer who spent 20 years on the staff of the U.S. National Cancer Institute and was editor of its journal. The five-year survival statistics of the American Cancer Society are very misleading. They now count things that are not cancer, and, because we are able to diagnose at an earlier stage of the disease, patients falsely appear to live longer. . . . More women with mild or benign diseases are being included in statistics and reported as being cured. When government officials point to survival figures and say they are winning the war against cancer they are using those survival rates improperly." Of course, the UK breast cancer screening programme would never be used in this way, would it? Following the NCC report in 2008, Professor Michael Baum, originally one of the pioneers of the UKs screening programme, seems now to have wavered and in 2008 was calling on the National Institute for Health and Clinical Excellence (NICE) to investigate whether it should even continue. He has publicly stated that if the (NCC) report stands up, the NHS screening programme should be referred to NICE to decide whether it should be closed down. Can some Breast Cancers actually heal themselves? Lets go back to the 2008 Norwegian study. Spontaneous regression of invasive breast cancer has been reported, with a recent literature review identifying 32 reported cases. This is a relatively small number given such a common disease. However, as some observers have pointed out, the fact that documented observations are rare does not mean that regression rarely occurs. It may instead reflect the fact that these cancers are rarely allowed to follow their natural course." In an editorial in the Archives of Internal Medicine that accompanies the breast cancer study, Robert M. Kaplan, Ph.D., of the University of California, Los Angeles, and Franz Porzsolt, M.D., Ph.D., of Clincal Economics University of Ulm, Germany, wrote that the most important concern raised by the study is "how surprisingly little we know about what happens to untreated patients with breast cancer. They are saying that with some diagnoses the body may well heal itself. But from the scientific reports and expert views quoted above these extra diagnoses could also be false positives or they might be diagnoses of breast cancer that do not even lead to actual breast cancer (for example, calcium deposits). Not least because when you next read in the press that 42,000 women will be diagnosed this year in the UK with breast cancer, the fact is that we really dont seem to know how many of them really do have the disease. And when you read the proud boast that Were beating breast cancer the fact is that we dont actually know, if left untreated, how many would have survived any way. According to Professor Gotzsche, the National Programmes of screening despite all the grandiose claims, have actually made little impact on death rates from breast cancer which have fallen just as fast amongst women who are not screened as those who are. Its all a bit of a worry.